Our family was close, but a set of unexpected events in quick succession had rocked us and my daughter was very vulnerable. I knew something was happening. It was 2008. My daughter, Emma* was 13, and I was worried sick. It started when she was approached after school by a white lad, he invited her to a party. He was a jack the lad type, sold drugs and had plenty of cash. He was over 17, and one of a number of boys who we now know hooked girls up with the gangs. These boys were paid with either drugs or cash. The girls on which they focused their attention were not the most popular ones in school. Girls with larger friendship groups were not targeted, it was the disillusioned, the insecure, the ones that seemed adrift. These girls were given the attention they craved. Compliments, clothes, iPods and, importantly, mobile phones soon followed. They were made to feel special. She was meeting a group of Asian males and it all started off friendly. Before long, Emma became withdrawn, argumentative and secretive. She started having problems at school. I noticed that she was using new programmes on her computer and apps on her phone that avoided my parental locks. I had to find out what was going on so I logged into her computer and phone without her knowledge. I didn’t know anything about the gangs or what they did. This all came later. I had to do something. I spoke to the school. They would do nothing because it happens outside the school gates. I phoned Social Services and asked for help. What else could I do? The advice was far from detailed. I was told to talk to Emma and remove her from the situation. So I did. I talked to her until I was blue in the face and thought she listened, took it in. I was wrong, it got worse. I approached one lad and told him to stay away from Emma. His response? He boasted and shouted and called her names. I phoned police and explained the situation. They asked if Emma would press charges and stand against him in a court of law. This wasn’t going to happen. Emma thought she was in a relationship with the lad. He made her feel special. Why would she make a complaint? The police said there was not a lot they could do unless something happened. I spoke to my GP about it all. Took Emma to see him and he talked to her. She went on the pill, just in case. I went to the police again. They came to our house and spoke to her, but because she was 13, and the lad was 17 and said he loved her, they said they would not intervene. If he had been, say, 21 then that would have been different. I gave them his parents’ address and they spoke to him there. Following the police visit, we received threats from his family. But unless anything actually happened, or had evidence of the threats, the police couldn’t act. I continued checking her phone and computer. Now, I was starting to delete messages without her knowledge. Around this time I also found a set of keys which I took and hid. All I could do was being very strict. I grounded her, started walking her to school and picking her up from school, all while trying to hold down a job. My employers were very understanding. For three months, wherever Emma went, I went with her. It was the only way to break the cycle. One day, I caught this lad outside school pushing Emma and saying she had to go to a party. I intervened and held this lad up against the wall and threatened him with police. Emma saw this and it was a turning point. She realised I knew more about what was going on than she thought and very slowly, she started opening up to me. She was terrified. She explained that there were ‘old men’ at these “parties” and that she didn’t want to be there. She wasn’t the only white girl there. I got Emma out before it went too far, but not everyone was so fortunate. It was hell on earth for 3 years, but i would do it again to protect Emma. Not all parents know to look or know how to check technology. So many will slip through the net. Technology is changing too, more apps are encrypted and need pass codes. No one to my knowledge was charged with any crimes in relation to my daughter. Look at how many were actually prosecuted for crimes like these. It’s a joke. The girls were passed around from pillar to post. Not just in Telford, either. The onus of proof was simply too great. More should be done in schools to raise awareness about this issue and about giving kids somewhere to go if they are in trouble or feel unsafe. If you have a story to share. Email TelfordLive@gmail.com – confidentially guaranteed. In 2014, months before the Jay or Casey reports into Rotherham, I published the 1st edition of my book “Easy Meat” on the 25 year cover-up of the grooming scandal. The media ignored my book. Two years later, in response to reader demand, I published an updated 2nd edition (available from Amazon in paperback or Kindle – there are advantages with either format). In this 2016 edition, I dedicated a whole chapter to show how Rotherham was the State’s “designated scapegoat”, the sole focus of media attention, being used to distract the public from the true scale of the scandal. 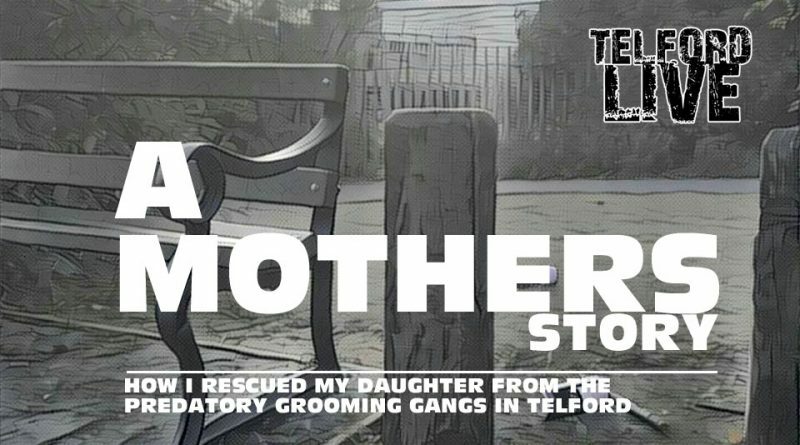 Hearing the news about Telford come out this last week, it came as no surprise to me or those who have read my book. There is an even bigger scandal brewing in Newcastle. And on the day Jo Cox MP was killed, just 10 miles West of where she was killed is Halifax where, in 3 unpublicised court cases, another 18 men from a grooming gang had been jailed. The cover-up is creaking at the seams. Despite the media blackout concerning my book (free review copies were sent out to journalists, TV producers, etc. ), on Amazon the book has received nothing but 5-star reviews from the UK readership.